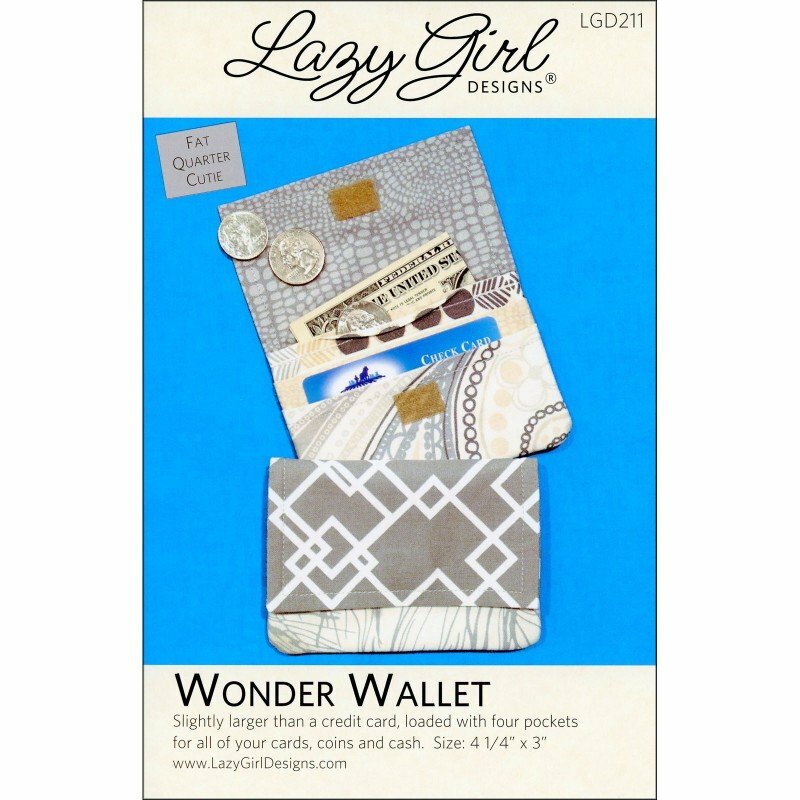 Slightly larger than a credit card, loaded with four pockets for all of your cards, coins and cash. Fat quarter friendly. Includes all instructions for project. Rotary cut project. No pattern pieces. Finished size: 4.25 x 3 inches.